Ducati has pulled the wraps off the bike that officially celebrates the firm’s 90th anniversary – the 1299 Panigale S Anniversario. Casey Stoner rides it during the #WorldDucatiWeek 2016. As the name suggests, the bike is basically a 1299 Panigale S, but it gains a few extras to mark it out as a limited-edition celebratory model. Just 500 will be made, each with the individually-numbered top yoke plaque that’s par for the course on this sort of thing. Tweaks include the red, white and black paintwork, the gold wheels and that top yoke, which is machined from solid aluminium alloy. There’s also a lightweight battery and some carbon parts, cutting 2.5kg from the weight. Although, with 150.8kW on tap, you’re unlikely to notice the performance gain that minimal weight loss brings. What you will notice is that the bike debuts a new generation of traction control and wheelie control, called DTC EVO and DWC EVO. 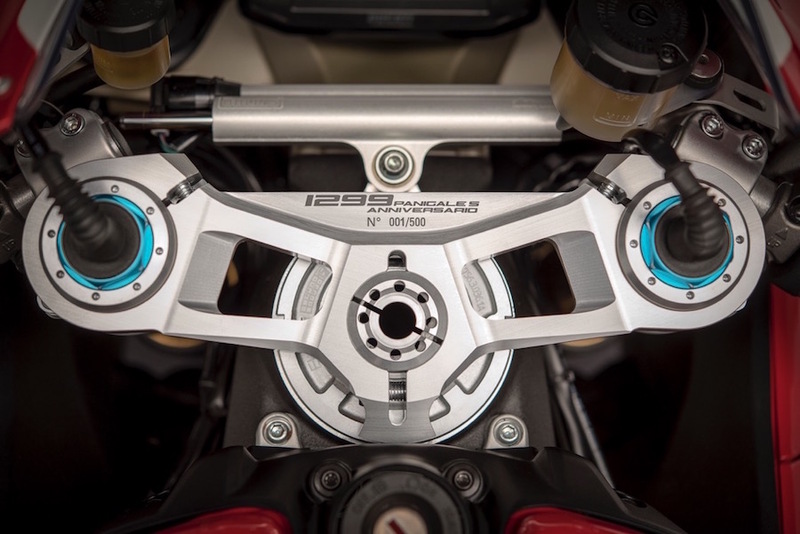 These are claimed to be even smarter than the systems currently offered on the Panigale S, maximising performance. 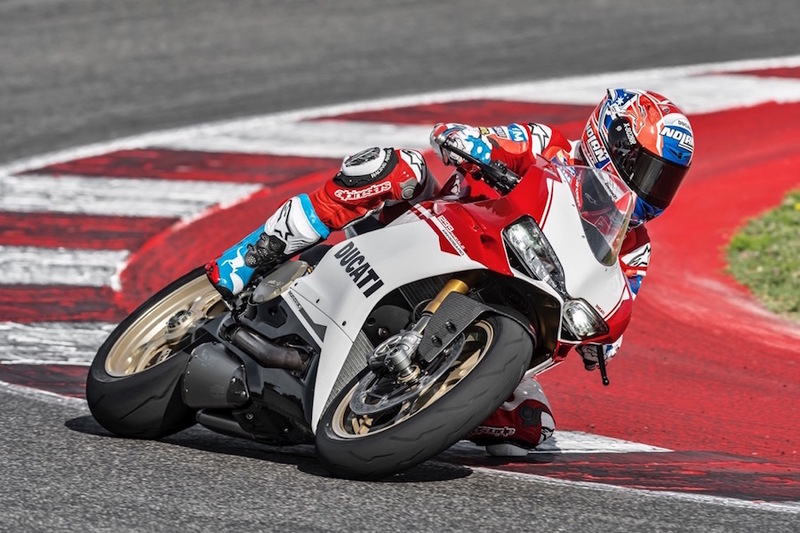 Other kit includes electronic suspension, an up-and-down quickshifter and a geometry tweak to move the front wheel forwards by 5mm, aping the changes already made to the Panigale R.